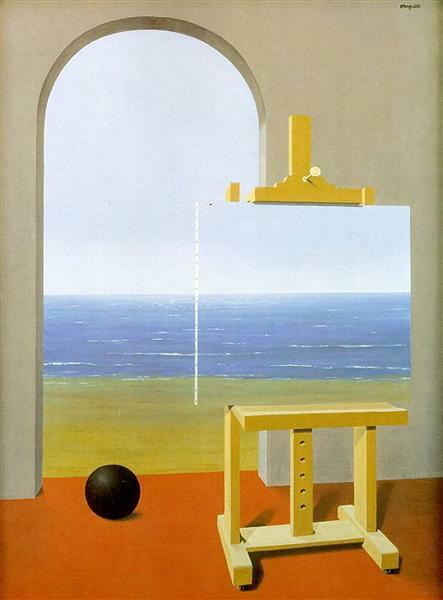 Magritte created two versions of this painting, of the same name, which both portray a large green apple in the middle of a room. 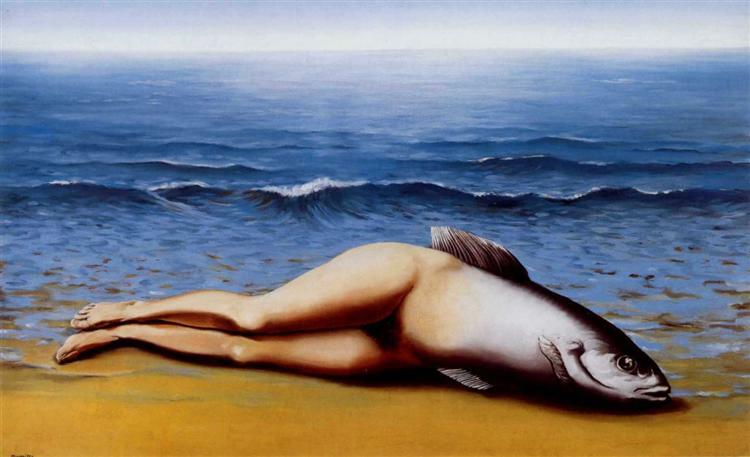 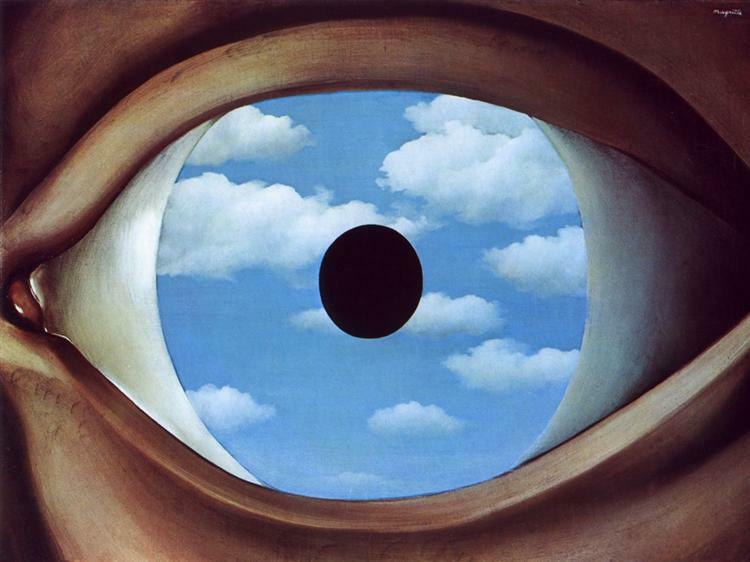 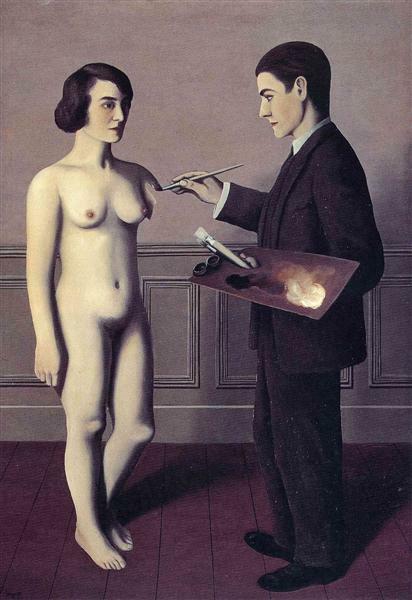 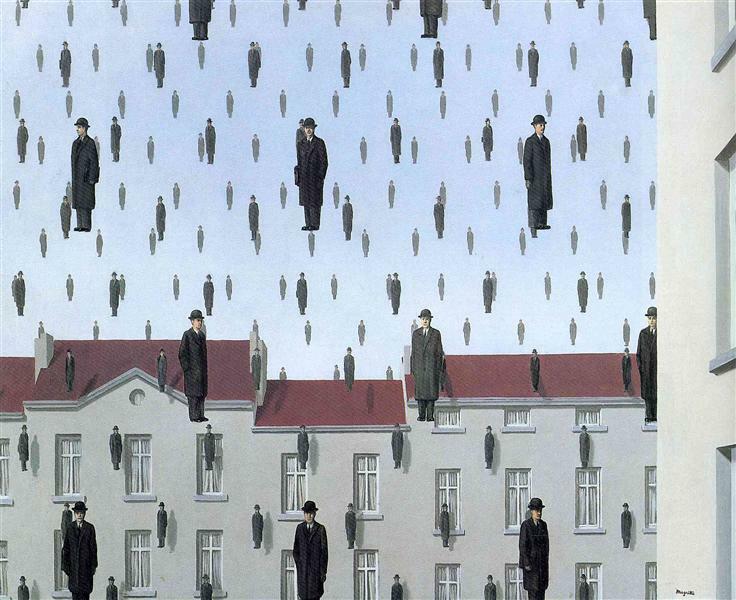 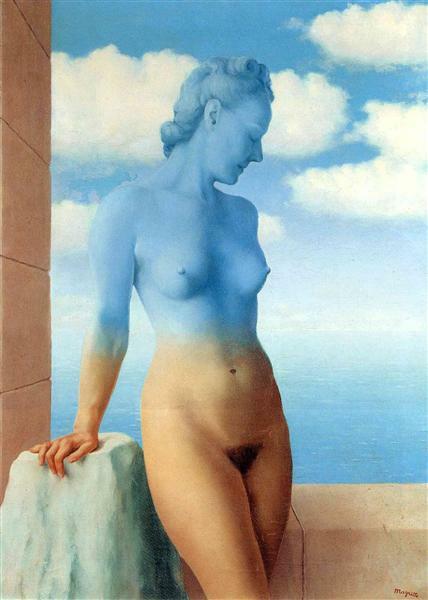 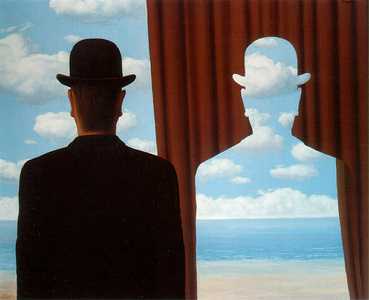 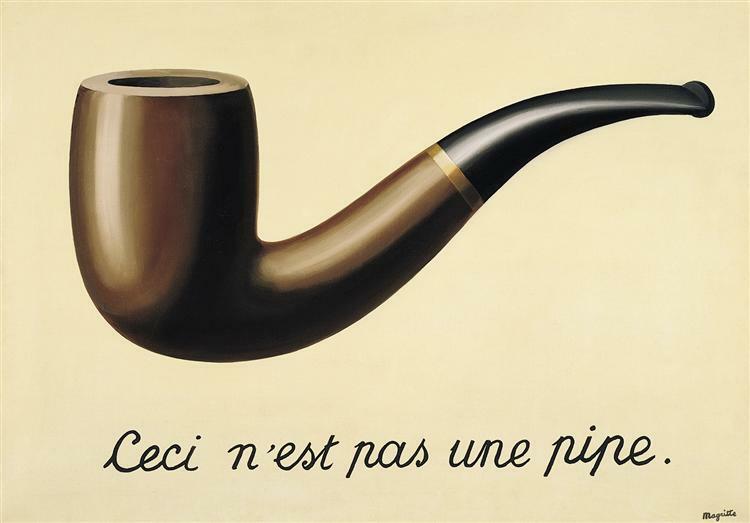 This painting illustrates the many themes running through Magritte’s work. 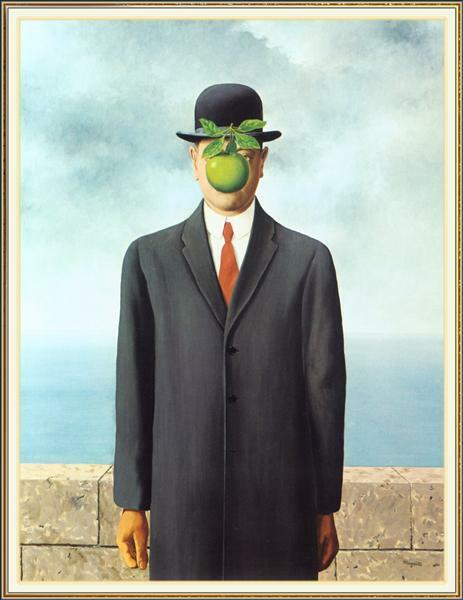 The first is the apple, which he uses to great lengths in many of his works, the most famous of which is The Son of Man, depicting a man wearing a bowling hat, with a green apple covering his face. 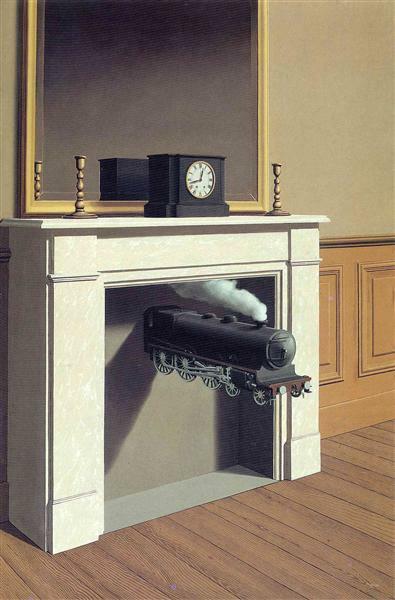 The other theme is that of placing objects together in an unusual context. 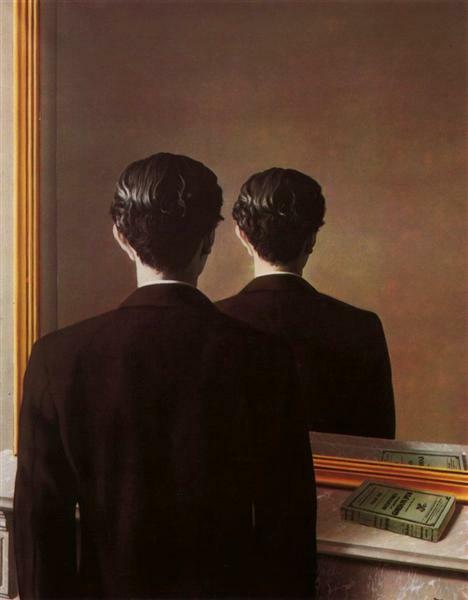 Unlike other surrealist artists, who mixed dreamlike images with abstract shapes, Magritte’s works included normal images, placed in surreal contextual situations. 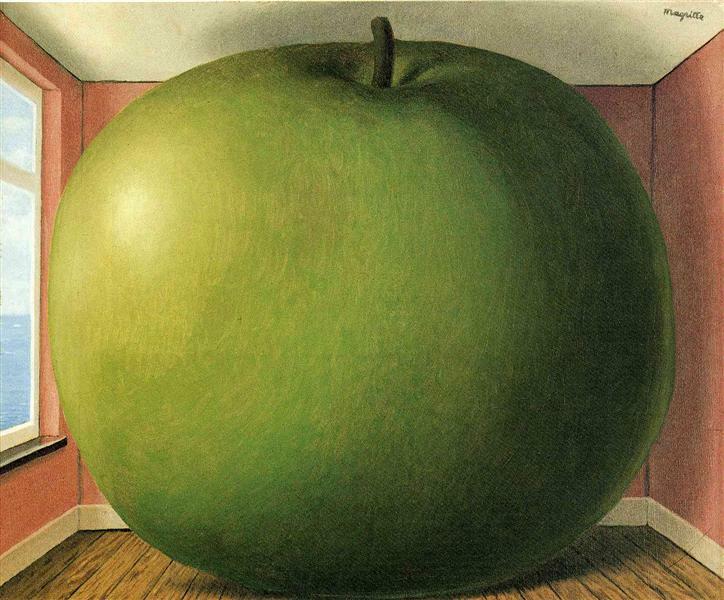 The Listening Room is one such painting, portraying a regular green apple, which just so happens to be large enough to fill and entire room.